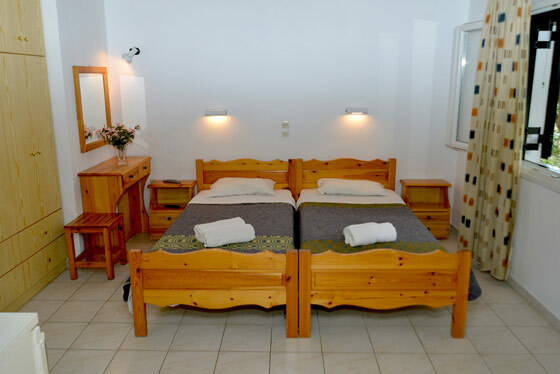 Check out Santos Apartments and Studios in Corfu, Dassia, Greece and choose from a variety of Family Apartments, Studio Apartments & Luxury Apartments. 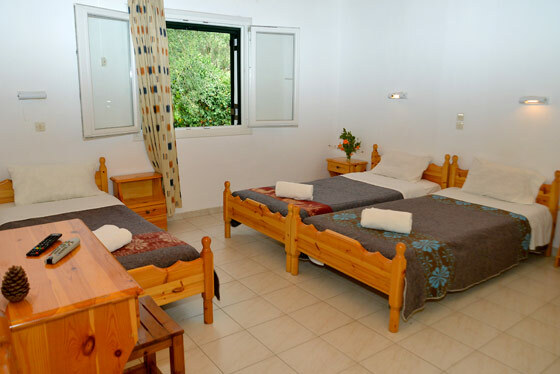 We are located in the Resort of Dassia, 100 meters from the beach. Santos Luxury Apartments are located in Corfu, Dassia just 50 meters from the beach. Our recently renovated modern and private premises will make you feel like home, experience luxury like it meant to be. Luxury Apartment no 35 offers spacious luxurious & private accommodation for a maximum of 4 adults and 1 child in 61 square meters indoors and 250 square meters approx. Located in Corfu, Dassia 50 meters from the beach. Luxury Apartment no 34 offers spacious luxurious & private accommodation for a maximum of 4 adults and 1 child in 70 square meters indoors and 200 square meters approx. Located in Corfu, 50 meters from the Dassia beach. Santos Family Apartments are located in the Resort of Dassia, just 100 meters from the beach. Ideal for families of 4 or 5 people, providing all the comforts for a nice stay, suitable to accommodate families with children. Family Apartment is suitable for a maximum of 4 people. 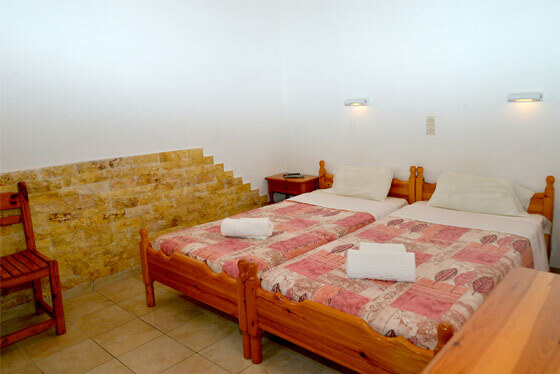 The bedrooms include Single beds, and the kitchen is fully equipped, ideal for a family. Located in Corfu, Dassia 100 meters from the beach. Family Apartment no 23 can accommodate 3 persons, ideal for families. The bedroom includes 3 Single beds, and the kitchen is fully equipped. Located in Corfu, 100 meters from the Dassia beach. 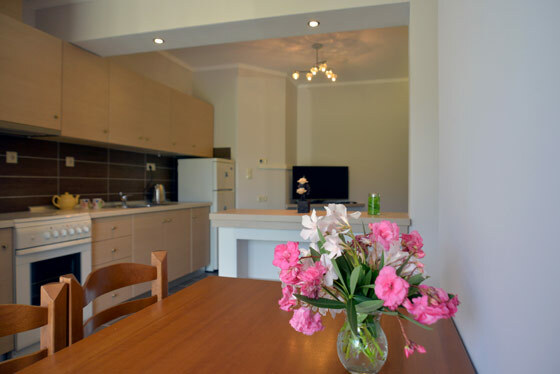 Family Apartment is suitable for a maximum of 3 persons. The bedroom includes 3 Single beds, and the kitchen is fully equipped, ideal for a family. Located in Corfu, Dassia 100 meters from the beach. Family Apartment no 29 is suitable for a maximum of 3 people. The bedroom includes one double bed and one single bed, ideal for families with children. Located in Corfu, Dassia 100 meters from the beach. Santos Studio Apartments are located in the Resort of Dassia, 100 meters from the beach. 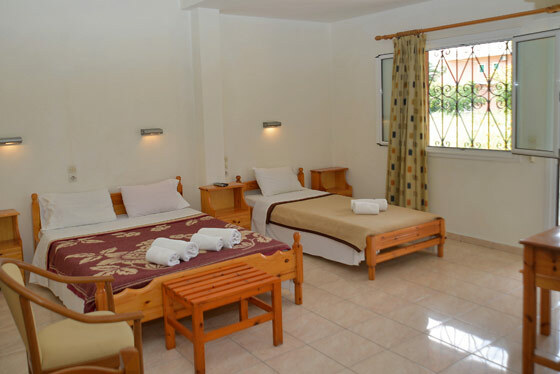 Our Studios would be a great choice for your holidays if you are looking for a quiet place close to the beach. Santos Studio Apartment no 31 can sleep from 2 until four people. It includes two single beds and one adjustable sofa bed that can sleep, two extra persons. Located in Corfu, Dassia 100 meters from the beach. Santos Studio Apartment no 25 can sleep, 2 people. 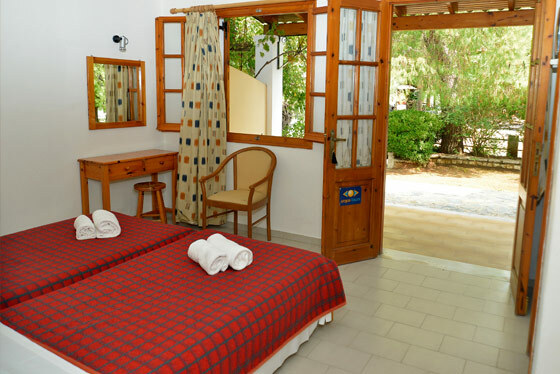 The bedroom includes 2 Single beds, a fully equipped kitchen is also included, ideal for Couples. Located in Corfu, Dassia 100 meters from the beach. Santos Studio Apartment no 27 can accommodate two persons, ideal for couples. 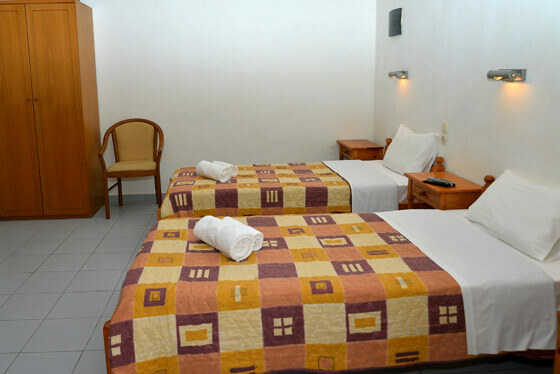 The bedroom includes 2 Single beds and there is also a fully equipped kitchen. Located in Corfu, 100 meters from the Dassia beach. Santos Studio Apartment no 26 can sleep, 2 people. 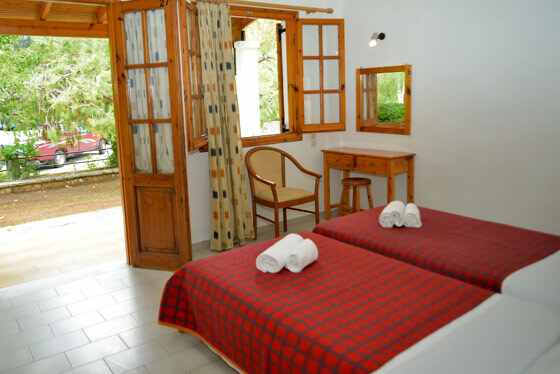 The bedroom includes 2 Single beds, there is also a fully equipped kitchen, ideal for Couples. Located in Corfu, Dassia 100 meters from the beach. Santos Studio Apartment no 24 can accommodate two persons. The bedroom includes 2 Single beds and there is also a fully equipped kitchen, suggested for couples. Located 100 meters from the beach. If your question can’t wait then contact us by phone! We would be glad to help you with anything that you would like to know. We would be pleased if you visit us in person, we are located in Dassia, Corfu, Greece. See our Google Map for detailed driving directions.